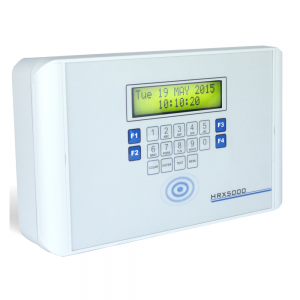 We offer a choice of clocking in options which can be used in any combination to collect clocking data. As part of your system consultation we’ll discuss with you how you want employees to clock in and the number of sites you want covered. NB: We only sell clocking terminals as part of a Chronologic time and attendance system. If you’re already a customer we can of course source more terminals for you – just give us a call. Biometric fingerprint, facial recognition and hand-scanning clocking terminals are a simple way to stop ‘time fraud’ and ‘time theft’. Time fraud includes ‘buddy clocking’ where one employee clocks in for another. Time theft is where employees round up time worked or ‘guesstimate’ start and finish times. We select from a range of high quality cost-effective terminals. NB: We only sell clocking terminals as part of a time and attendance system. If you are already a customer we can of course source more terminals for you – just give us a call. 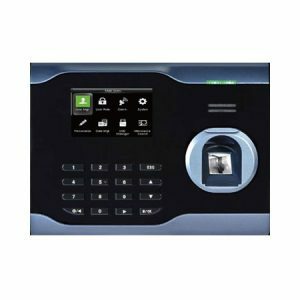 Radio Frequency Identification (RFID) has been around for a while, swipe card / fob clocking is typically used in manufacturing environments.The HRX series of swipe card or fob proximity terminals is designed to work with the Chronologic Workforce Management System. The pictured terminal is the fully featured top of the range HRX 5000. We would recommend Chronologic as they listened to exactly what we needed and provided the best case solution."